This decorative accent is mounted on a stand. This beaded shield mounts on a wall as an art piece. 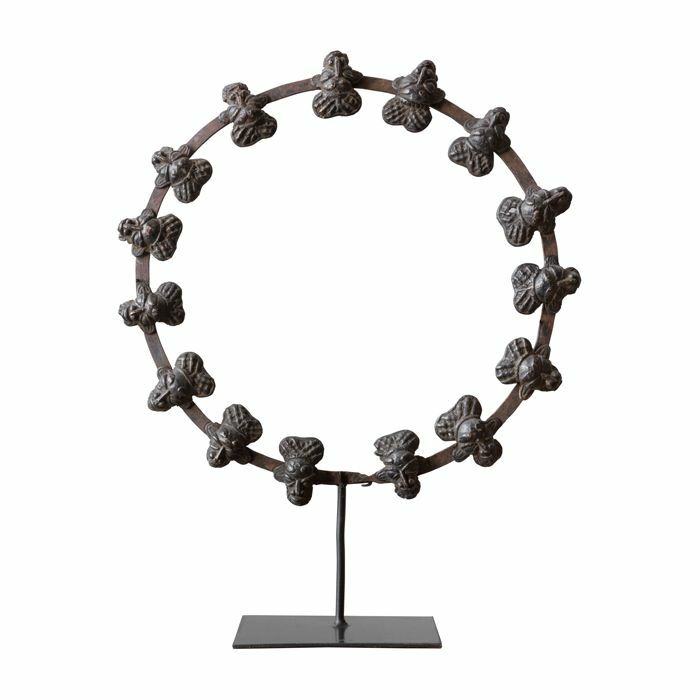 This decorative artwork hails from Cameroon.